A recent flurry of FCC Enforcement Bureau correspondence to alleged unlicensed broadcasters has targeted at least one more radio amateur -- this time in the Greater New York City area. It's not the first time Winston A. Tulloch, KC2ALN, of Paterson, New Jersey, has heard from the FCC, which has had Tulloch in its sights for at least several months regarding a pirate FM station on 90.9 MHz. Last November, the Enforcement Bureau sent Tulloch a Notice of Unlicensed Operation after receiving information that he was operating a radio station. FCC agents used direction-finding techniques to zero in on a signal on 90.9 MHz coming from his residence. "The field strength of the signal on frequency 90.9 MHz was measured at 105,451 microvolts per meter (uV/m) at 101 meters, which exceeded the maximum permitted level of 250 uV/m at 3 meters for non-licensed devices," the FCC said. Tulloch was sent a second Notice of Unlicensed Operation on June 8, after Enforcement Bureau agents from the FCC's New York office on May 2 responded to a complaint of an unlicensed FM station operating on 90.9 MHz in Paterson. This time, the signal, measured at 176,526 uV/m, was determined to be emanating from another residence about 1 mile from Tulloch's. The FCC said someone at the residence identified Tulloch as the station's operator. A third Notice of Unlicensed Operation followed on June 30, after Enforcement Bureau agents following up in the unlicensed FM station investigation in Paterson on June 12 confirmed by direction-finding techniques that the signal on 90.9 MHz was continuing to come from the same residence. FCC Enforcement Bureau Region 1 Director David C. Dombrowski has advised Tulloch -- three times now -- that the unlicensed radio operation on 90.9 MHz "must be discontinued immediately." 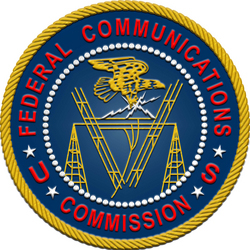 The Commission's enforcement resources are already suffering from last year's closing of FCC field offices and the layoffs of field agents, however, and the administration has called for cutting the FCC's budget. In late May, the Enforcement Bureau issued a Notice of Violation (NoV) to Lyle E. Hilden, KD6LUL, of Vista, California, alleging that he had engaged in pirate radio broadcasting on the FM band. Read more. Radio Amateurs of Canada (RAC) reported last weekend that it was monitoring the wildfire situation in British Columbia. 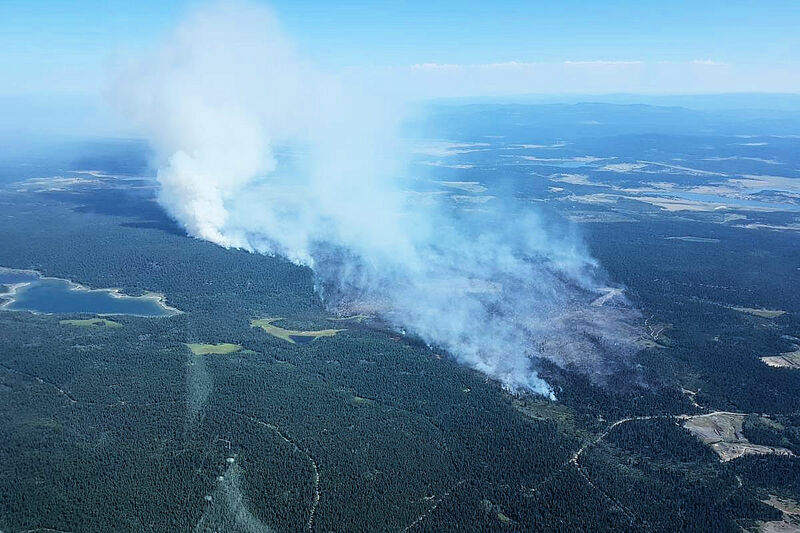 Acting British Columbia/Yukon Section Manager Bill Gipps, VE7XS, advised RAC that Amateur Radio Emergency Service teams had not been called out, and that the wildfire situation "has not become a communications event." A state of emergency has been declared in Canada's westernmost province. More than 250 wildfires were reported active in British Columbia as of July 12, and 21 of them are considered "of note." Fires had spread over nearly 99,000 acres by midweek. "There are amateurs on the ground helping other organizations such as the Red Cross," RAC reported. It's been estimated that more than 14,000 people have been evacuated from fire-stricken communities, many now in shelters, and an undetermined number of homes have been destroyed. Under the state of emergency, agencies such as Emergency Management BC, the Fire Commissioner, the Ministry of Forests, Lands and Natural Resource Operations, and the RCMP have authority to take every action necessary to fight the wildfires and ensure protection of residents and their communities. Lightning is being blamed for most of the wildfires throughout the province. The last provincial declaration of state of emergency was issued in August 2003, also in response to wildfires. 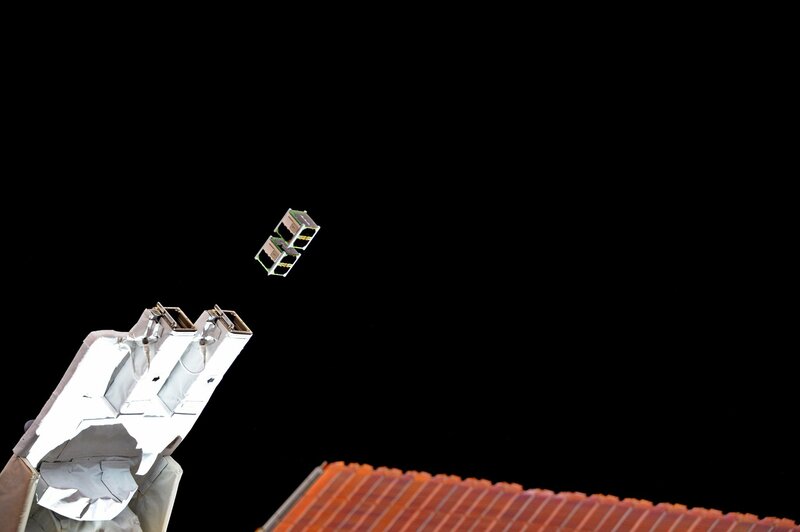 The five CubeSats making up the BIRDS-1 (Joint Global Multi-Nation Birds) constellation were deployed into orbit from the International Space Station (ISS) on July 7. Each carries an Amateur Radio payload but no transponders. The Japan Aerospace Exploration Agency (JAXA) module's remote manipulator arm was used to accomplish the launches. "Another great example of international cooperation today on @Space_Station -- launched 5 micro-satellites from 5 countries off the JAXA arm!" ISS crew member Jack Fischer, K2FSH, tweeted. The BIRDS-1 constellation of five 1U CubeSats -- BIRD-B, BIRD-J, BIRD-G, BIRD-M, and BIRD-N -- are all of the same design, and all use the same Amateur Radio frequency. They were launched to the ISS on June 3. The main mission of the 2-year project is to use the constellation to carry out radio communication experiments via a network of UHF/VHF Amateur Radio ground stations around the world. Four faculty members -- including Yasuhiro Tokunaga, JG6YBW -- and 15 students at Japan's Kyushu Institute of Technology (Kyutech) are coordinating the experiment, with participation from student engineering teams at universities in Bangladesh, Ghana, Mongolia, Nigeria, Thailand, and Taiwan. The challenges will be to distinguish each CubeSat from its companion spacecraft transmitting on the same frequency, hand over operation of a satellite from one ground station to another, and assemble the satellite data -- such as housekeeping telemetry and Earth images -- obtained at different ground stations. Radio amateurs have been invited to join the network to assist in the data downlink and reconstruction of patchy satellite data into meaningful data. Orbit information and the operational plan of each satellite is to be made available to the Amateur Radio community, along with software to decode the satellite data. Amateur Radio stations that successfully decode the telemetry data and Earth images will receive a QSL card from the BIRDS team. The reconstructed data will be posted. According to the IARU, the satellites have CW, 1.2k bps AFSK FM, audio FM, and 9.6k bps GMSK downlinks on a coordinated downlink frequency of 437.375 MHz. "APRS" is the topic of the current episode of the "ARRL The Doctor is In" podcast. Listen...and learn! 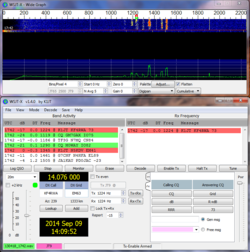 A beta release of WSJT-X, version 1.8.0-rc1, includes a new FT8 mode, featuring a faster turnaround, and it's already showing up on the bands. According to the notes for the candidate release, FT8 offers "sensitivity down to -20 dB on the AWGN channel," and contacts four times faster than JT65 or JT9. An auto-sequencing feature offers the option to respond automatically to the first decoded reply to your CQ. The beta WSJT-X also offers a new mode for accurate frequency calibration of your radio, improved CAT radio control, and enhanced JT65, QRA64, and MSK144 decoder performance. The resurrected 25 MHz signal of time and frequency standard station WWV is now emanating from a circularly polarized turnstile antenna. WWV had used a vertically polarized antenna on 25 MHz in the 1970s. Silent since 1977, the 25 MHz signal returned to the air on an "experimental basis" in April 2014, and it's been transmitting ever since -- initially on a broadband discone until August 2015, when it switched back to a vertical, which it used until the July 7 switch to circular polarization. 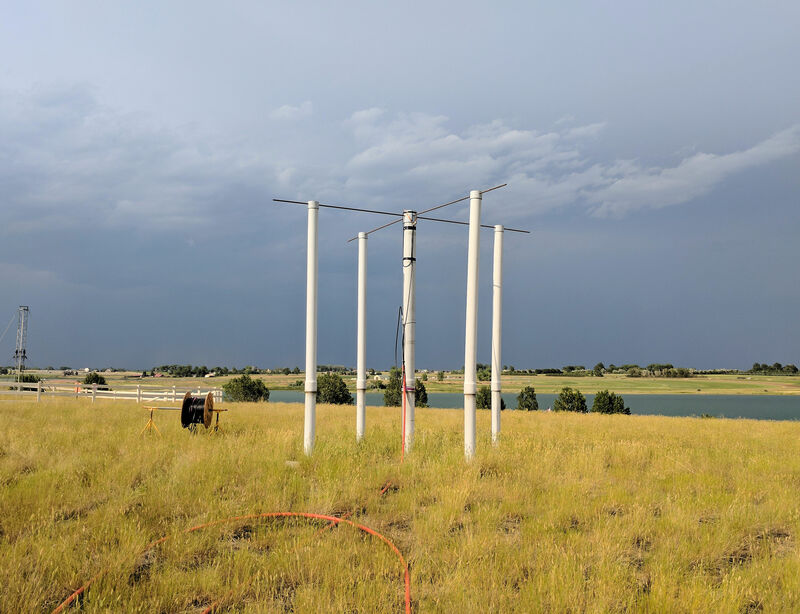 "[W]e are broadcasting with 2 kW from a circularly polarized turnstile antenna," WWV lead electrical engineer Matt Deutch, N0RGT, told ARRL this week. "It is just your standard plain-vanilla turnstile -- two horizontal orthogonal dipoles with a quarter-wave phase-shifting coax linking them." When the 25 MHz transmitter was shut down in 1977, the antenna's radiating element was "tossed in the bone yard, and a new, longer section put on the tower to make it a 15 MHz standby antenna," Deutch has recounted. When WWV first reintroduced the 25 MHz broadcast some 37 years later in response to requests, it used a broadband monopole. But, it was later decided to use that antenna for WWV's 2.5 MHz standby transmitter and to rebuild the 25-MHz antenna. The old radiating section was retrieved, and the antenna rebuilt so that it looked like what was being used in 1977. Deutch said it's hoped that the latest antenna change to circular polarization might be helpful to anyone studying propagation during next month's total solar eclipse, which will be visible across the US. "My effort right now is focused on getting the word out, just to make people aware that [the 25 MHz signal] is available, if it can be useful to them." Located in Fort Collins, Colorado, WWV is operated by the National Institute of Standards and Technology (NIST). WWV has invited listeners' comments and reports on its 25 MHz signal. The Pacific Islands Refuges and Monuments Office of the US Fish and Wildlife Service (FWS) has selected the Dateline DX Association (DDXA) -- the DXpedition group that activated Howland Island in 2009 and Wake Island in 1998 -- to pursue a DXpedition to Baker Island. Dates have not yet been determined. Baker and Howland Islands (KH1) are part of the Pacific Remote Islands Marine National Monument (PRIMNM), created by former President George W. Bush in 2009. Baker and Howland is the fourth most-wanted DXCC entity on Club Log's DXCC Most Wanted List. The group will announce planned activation dates and other details once a vessel has been selected and the FWS has approved the vessel and dates. DDXA co-leaders are Don Greenbaum, N1DG; Tom Harrell, N4XP, and Kevin Rowett, K6TD. In early June, the FWS agreed that a DXpedition to Baker Island would be an acceptable use of the Baker Island National Wildlife Refuge, but detailed strict conditions under which it would issue a special use permit (SUP) to allow such use. Earlier this year, the FWS conducted a Compatibility Determination for Amateur Radio operation on the ecologically sensitive island refuge. Baker Island is 1,830 nautical miles southwest of Honolulu -- an 8-day voyage. "While...not a wildlife dependent public use according to National Wildlife Refuge Administration Act of 1966, as amended, Amateur Radio operation is a use that assists in the management of the resources indirectly," the FWS said in its Compatibility Determination, released on June 8. A DXpedition to the refuge may last up to 14 days, with only 12 days of radio operation and allowing time for setup and breakdown on each end of the visit. There's no substitute for being there, and for elite contester and WRTC 2018 participant Tim Duffy, K3LR, and other competitors, this meant traveling to Germany, where WRTC 2018 will take place in 1 year, in part to prepare for the big show. 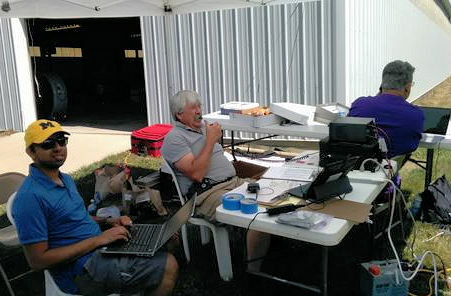 Duffy said getting on the air from Germany during the International Amateur Radio Union (IARU) HF Championship this past weekend provided an opportunity to test the waters, so to speak, by making sure that equipment works as it should, that propagation from Europe is understood, and that he and his teammate Sandy Raeker, DL1QQ/N0QQ, have a good shot at winning. "I have operated in four past WRTCs, but I have never prepared to this detail in the past," Duffy told ARRL. "So, taking a page from the K3LR multi-multi book (constant preparations), I am preparing with DL1QQ as never before." He and Raeker will be the first male-female team in the history of the WRTC. During the IARU, he and Raeker operated as DR8A with 100 W in the Multioperator, Two Transmitter (M2) category during the IARU contest. M2 is not a WRTC category. "The operating experience here in Germany is much different than in the US," Duffy said. "Band conditions are very different, and operating patterns from participants as well. Having this contest under our belt, we have many changes now to make, to prepare for the big event next year." Several other teams also took advantage of the 2017 IARU event to operate from Germany in preparation for WRTC 2018. Other active call signs of WRTC 2018 prep teams included DM2M, operated by Dan Craig, N6MJ, and Chris Hurlbut, KL9A, and DR5F, operated by John Crovelli, W2GD, and Bud Trench, AA3B. The three on-site teams plan will submit their logs to the IARU HF Championship as check logs. 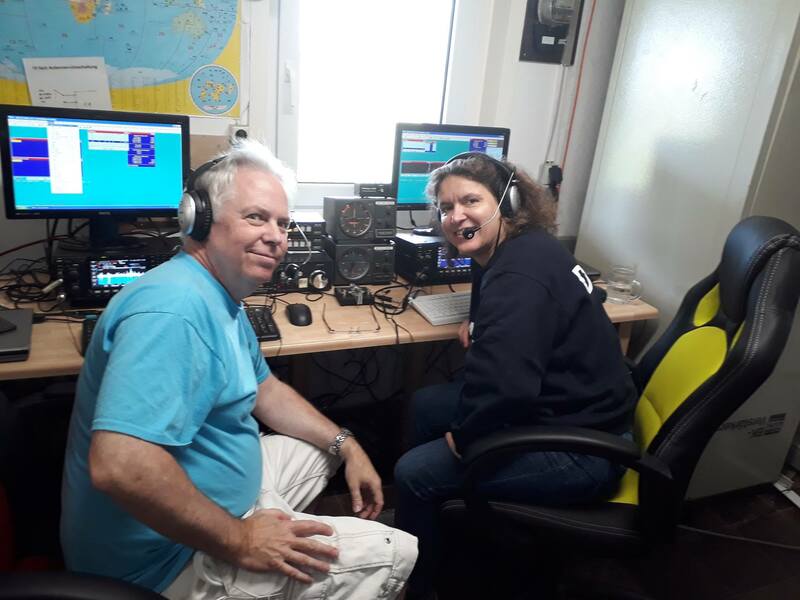 Testing the waters from Europe: Tim Duffy, K3LR, and Sandy Raeker, DL1QQ. Trench said he and Crovelli were the guests of the DARC OV H20 Peine Club. "They set up a station that was very similar to the design for WRTC 2018," he said. "We fully exercised our station design and operating plans. We learned a lot about propagation from Europe, which was somewhat different than we expected, particularly with respect to the timing of openings to various parts of the world." Some other remote IARU operations, as well as contest tests by the LY, ZL, and other DL teams, were also conducted. Nate Moreschi, N4YDU, is reported to have operated from Hungary. Some two dozen Amateur Radio volunteers supported communication for the Ann Arbor Bicycle Touring Society's (AABTS) 41st running of the One Helluva Ride (OHR) bicycle tour on July 8 in Michigan. The race derives its moniker from the fact that the longer route options pass through the town of Hell. The annual loop tour, which starts and finishes at the Chelsea Fairgrounds, offers rides from 15 miles to 100 miles. This was the 27th year that the Arrow Communication Association (ARROW) -- an ARRL Special Service Club -- has overseen the communication infrastructure and supplied SAG support (for those "sagging behind"). "There are many places on the route where cell phone coverage is marginal, making Amateur Radio an excellent choice," said George Byrkit, K9TRV. "Small beams are deployed at the food stops to provide more reliable communication with net control." Byrkit served as the morning net control station, while Dan Romanchik, KB6NU, handled the afternoon shift. ARROW had support from the Chelsea Amateur Radio Club (CARC) and the Livingston County Amateur Radio Klub (LARK). The operation employed two of the Chelsea club's 2-meter repeaters, which were linked to broaden the coverage. The hams provide SAG vehicles as well as volunteers to ride along in AABTS vehicles. Among other non-communication tasks, they provide spare tire tubes, foot pumps, food and water, and transportation for those experiencing mechanical failure or exhaustion. Hams also are placed at each of the three food stops. The Amateur Radio on the International Space Station (ARISS) program is planning a slow-scan television (SSTV) event starting on Thursday, July 20, and continuing for 2 days, to commemorate its 20th anniversary. 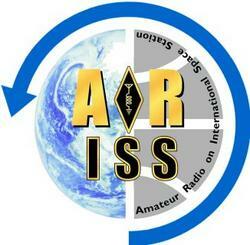 Transmissions, set to get under way around 2125 UTC, will feature 12 images from past and present ARISS activities. The SSTV signal should be available nearly anywhere on the globe at some point during the event. "Starting with our first meeting in November 1996, our joint operations on Mir, becoming the first operational payload on ISS in November 2000, to our [more than 1,100] school contact (so far), ARISS's accomplishments have been tremendous," ARISS International Chair Frank Bauer, KA3HDO, said, in first announcing the SSTV event last. "We have touched the lives of many and inspired and educated countless students to pursue science, technology, engineering, and math careers." The event plans to use a computer on the ISS Russian Segment, which stores images that are then transmitted to Earth using the onboard Kenwood TM-D710 transceiver, the ARISS announcement explained. Those receiving the images can post them for public viewing. SSTV signals will be transmitted on 145.80 MHz using FM. The SSTV mode is expected to be PD120, with PD180 as a possible second option. Free SSTV decoder software is available on the Internet. ARISS asked educators to consider ways in which they might use this opportunity to inspire their students by having them take advantage of this chance to capture images directly from space to their computers. All ARISS events are subject to change at any time. News and updates are on the ARISS website, the AMSAT website, the AMSAT-BB, the ARISS Facebook page, and the ARISS Twitter feed, @ARISS_status. The Boy Scouts of America station K2BSA will be on the air during the 2017 National Scout Jamboree, July 18 to July 28, from the Summit Bechtel Scout Reserve in West Virginia. The K2BSA operation will demonstrate Amateur Radio to several thousand Scouts and fulfill the Radio merit badge requirement for QSOs. "We need you on the other end of the contact," the BSA announcement said. All information for making a contact with K2BSA during the Jamboree is on the K2BSA website. It lists frequencies, repeaters, EchoLink, and D-Star options. K2BSA will also publish live updates on Facebook and Twitter of active frequencies. K2BSA will host a nightly net at 2330 UTC (7:30 PM ET) on EchoLink Conference Node *JAMBO*. You can also access the net via the repeaters at the Summit. The Scout campers plan to launch at least one balloon from the Jamboree that are expected to navigate around the globe. Post-launch online tracking is available. The Jamboree Logbook has information on how to request QSL cards. An Amateur Radio on the International Space Station (ARISS) contact with an International Space Station crew member has been scheduled too, date and time pending. Tad Cook, K7RA, Seattle, reports: Average daily sunspot numbers were 28.3 during the July 6-12 reporting week, up from 8 during the previous week. Average daily solar flux increased from 71.7 to 87. Average planetary A index rose from 7.1 to 9.1, and average mid-latitude A index bumped up from 8.3 to 9.6. 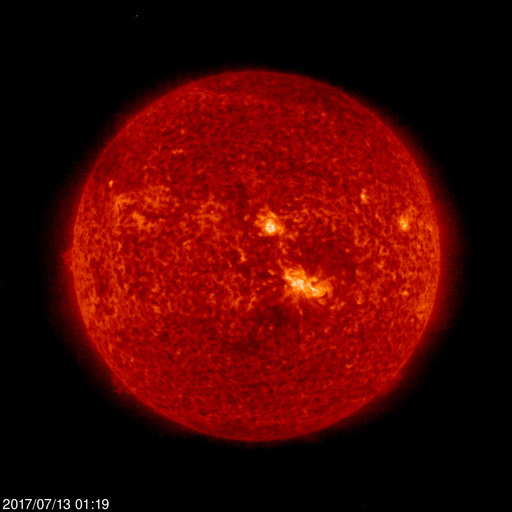 Predicted solar flux is 90 on July 13-16; 88, 85, and 80 on July 17-19; 85 on July 20-28; 90 on July 29-30; 85 on July 31-August 5; 87 on August 6-11; 85 on August 12-24, and 90 on August 25-26. Predicted planetary A index is 5, 15, and 12 on July 13-15; 8 on July 16-17; 12, 8, and 5 on July 18-20; 11 on July 21-22; 5 on July 23-August 4; 25, 18, 12, 15, and 10 on August 5-9; 5 on August 10-13; 12, 10, and 5 on August 14-16; 11 on August 17-18, and 5 on August 19-26. Twin Cities TV station KARE recently aired a story about the largest sunspot of 2017. Sunspot numbers for July 6-12 were 16, 25, 24, 31, 32, 27, and 43, with a mean of 28.3. The 10.7-centimeter flux was 75.9, 79.5, 86.6, 90.9, 95.1, 91.1, and 90.2, with a mean of 87. Estimated planetary A indices were 7, 5, 3, 28, 9, 8, and 4, with a mean of 9.1. Estimated mid-latitude A indices were 8, 5, 3, 26, 11, 9, and 5, with a mean of 9.6.